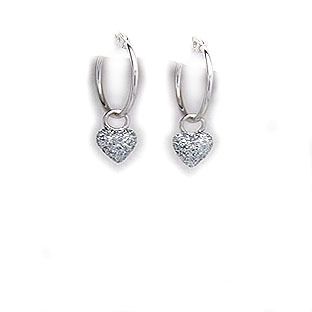 This sweet sterling silver pendant features a heart with a double bail in a matte look finish on one side and a polished look on the other. 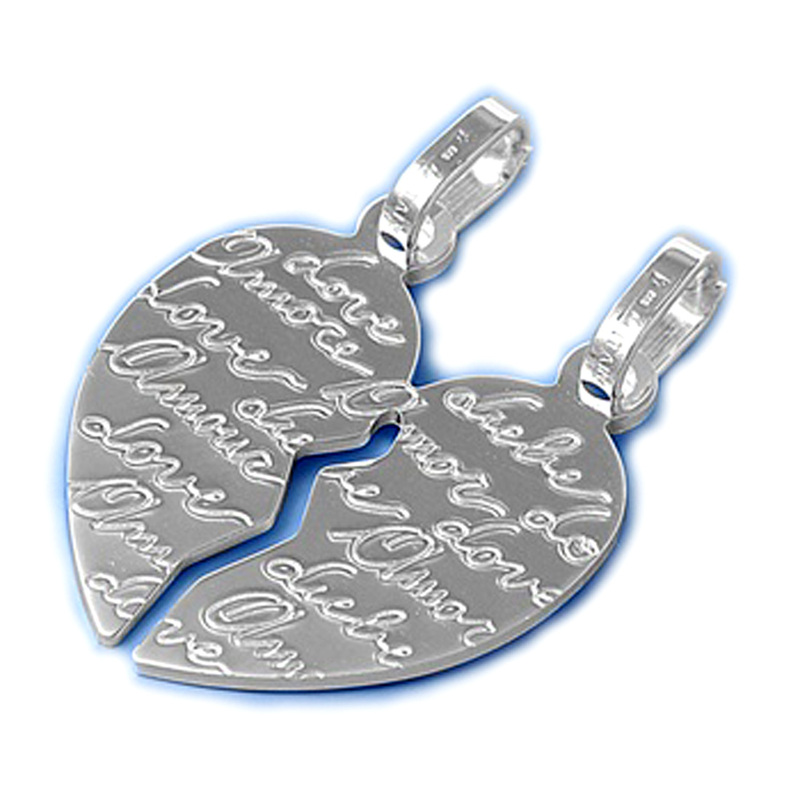 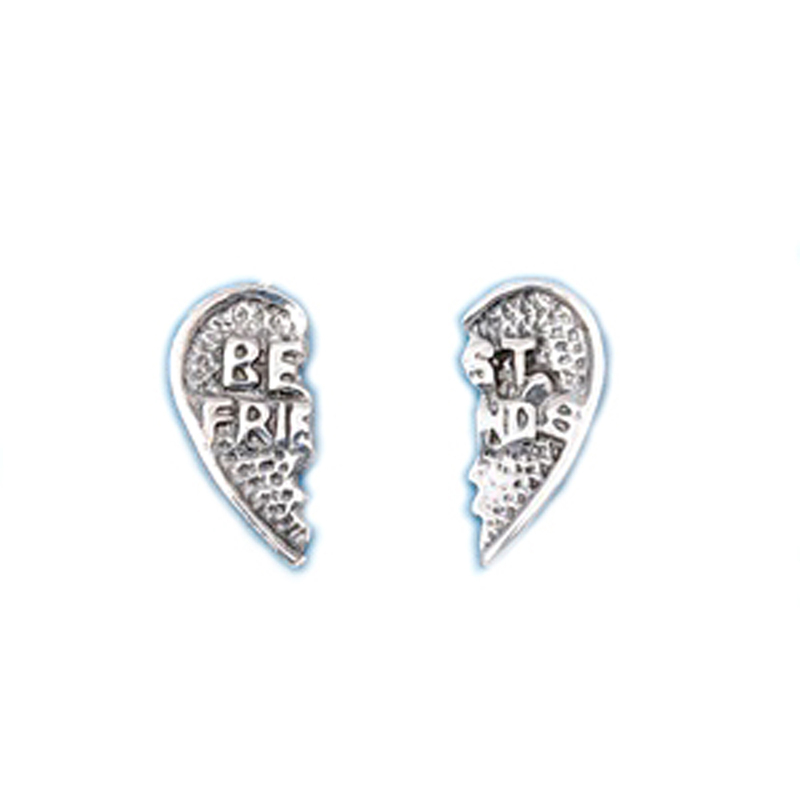 Break it apart, add a chain and give the other half of your heart to you soulmate and/or lover. 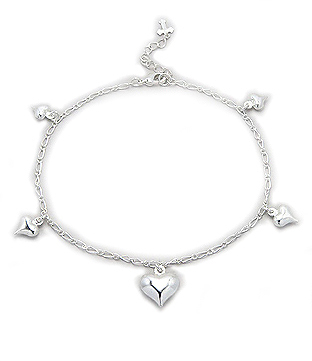 Adorable Silver Plated Anklet With Small and Large Hearts, 9" exp to 10"